Associating to my last post about finding cheap flights online today I would like to share with you a few money saving tips for planning your travel when using some great apps. 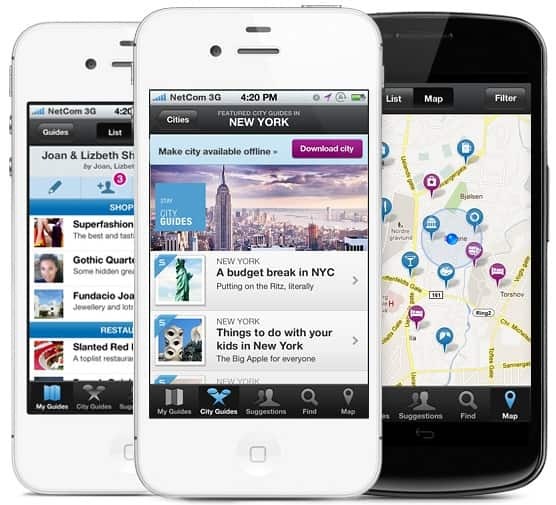 The invention of the app was dictated by real life experience…Stephen Gotlieb (CEO of Pintrips) became irritated while planning a flight from San Francisco to Tel-Aviv with his family. He sent his family a few flight options, but because of the 10-hour time difference between them, by the time they got back to him, the flight prices had already changed or were sold out. The app is relatively new because it was launched in beta in November 2012 and it is available on on iOS unfortunately not on Androids, however it is possible to install it on Chrome, so all the Android lovers can still benefit from using it. The app serves as a flight manager, you pin the flights you like to compare the options (when seeing the prices changing in the real time) and share with your family or friends. It analyses flights from flights aggregators such as KAYAK, Orbitz, Expedia, DELTA or Google and from airline companies such as: American Airlines, Virgin Airlines and some more. I love the app its my airline Pinterest equivalent. Try it today!. Once you have found the flight of your choice use another well known app to find discounted accommodation on your last minute bookings. Download award winning Expedia app on either iPhone or Android and browse thousands of amazing places to stay…If you however need a place for free go to CouchSurfing especially if you travel solo.. If you are an old fashion but creative type you can borrow your travel/city guide from your local library. Next How to organise mega cheap trip to Sardinia?